Popular Tagore song ‘Eso He Boishakh…’ gets a new cover this year on the festival that is celebrated as a lifeline of the Bengalis on Pahela Boishakh. The use of various instruments adds a new flavor to the song. The cover features an array of new singers who have used bottles of the global soft drink brand Coca-Cola as various music instruments to sing the song. 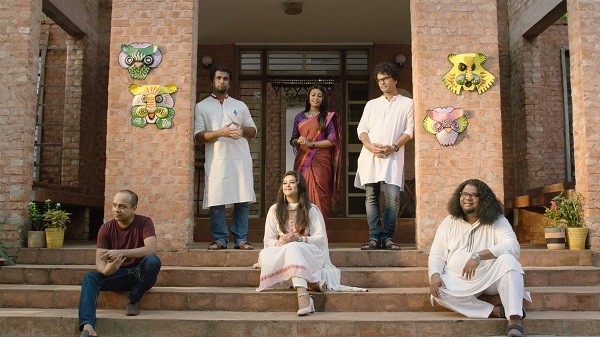 Pritthwi Raj has directed the music of the cover that features voices of famous Tagore singer Sadi Mohammad alongside Bappa Majumdar, Kona, Topu, Lincoln D Costa, Oishi, Shuvo, Nafis, Nandita, Liza and Ritu Raj. Under the unique arrangement, Coca-Cola glass bottles have been used to recreate the sound of glockenspiel and pan flute while the plastic caps have been used as tambourin. PET bottles and its caps, glass bottles, rice and sugar have used as shaker and a bundle of 10 2-litre PET bottles have been used as kick drum. Cans filled with rice have been used as rainstick and different forms of glass have been used to create a Jol Torongo (Hydraulophone) played with sticks as xylophones. The production brings together collaborations from eminent Tagore artiste Sadi Mohammad and singers of the 90’s Bappa Majumdar and Lincoln. Budding singers like Ritu Raj and Liza have also lent their voice to the cover. The initiative from Coca-Cola Bangladesh aims to spread the colours and music of Pahela Boishakh from generation to generation. 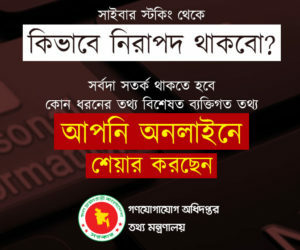 Why Bangladesh hit again by Earthquake?